It can be tricky finding goodies for baby’s 1st Easter basket…take a look at these great fillers for baby’s basket! 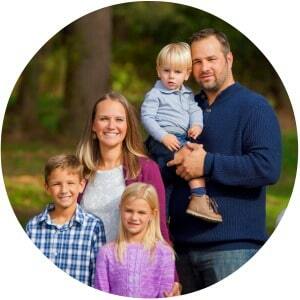 No Easter holiday is complete without an Easter egg hunt! Here’s how to have one that’s super fun and fair. We love doing crafts in our home, no matter what time of the year it is! 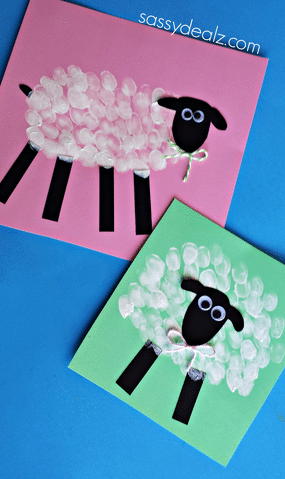 These Easter crafts for the little ones will be a great way to get your home all set for the Easter holiday right around the corner. 1. 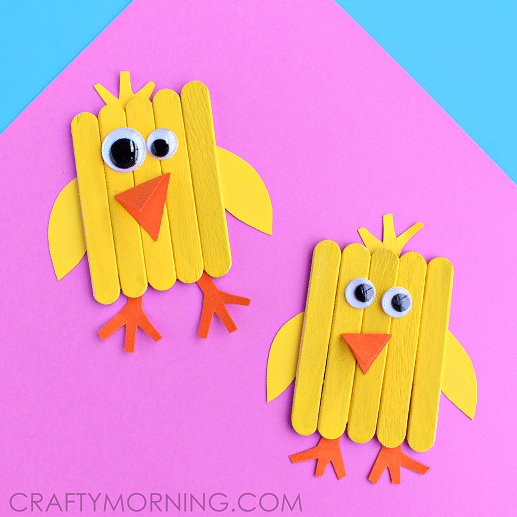 How cute are these little Mini Popsicle Stick Chicks? Found over at CraftyMorning.com, the kids are going to love putting these cute little guys together! Add in some paint, glue, construction paper and scissors? Every kids dream come true when it comes to putting crafts together! 2. I don’t know about you, but when my kids get a chance to put paint on their little hands and feet, that craft is always a hit! 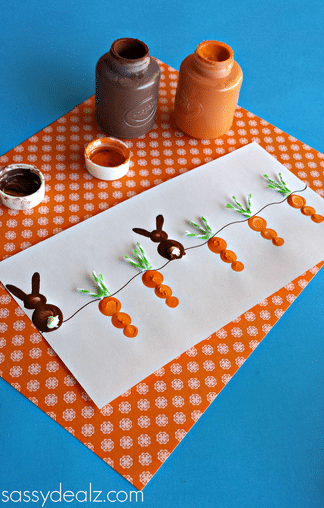 So this fingerprint carrot and bunny craft is one that I know we’ll have a lot of fun doing. Head over to CraftyMorning.com for all of the details. 3. Look at these fun little guys! 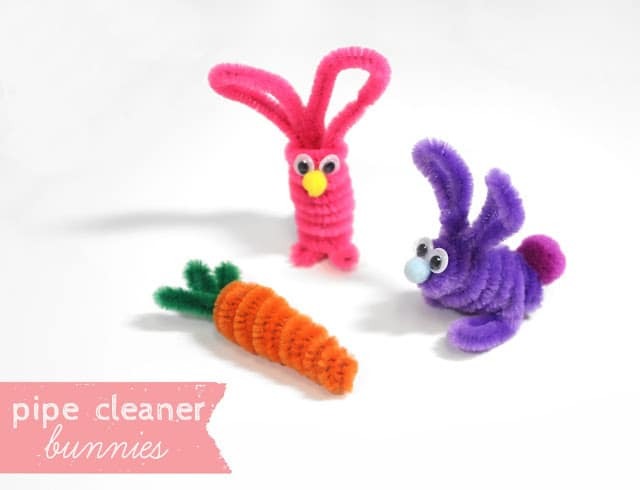 LinesAcross.com will show you how to create these sweet Pipe Cleaner Bunnies and what a great activity for kids to use their hand-eye coordination. My kids are going to love these, but I think they may love gluing on the eyes, nose and tail on especially. 4. 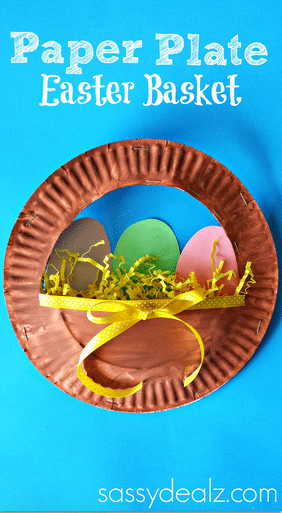 A Paper Plate Easter Basket? Yes, please! CraftyMorning.com knows how much all little ones love their Easter baskets, so of course, they came up with a creative and colorful craft to go with it. There are lots of fun textures, paint, ribbon, and of course, construction paper that go into creating these beautiful baskets and the kids will love it! 5. I’m not going to lie. These Fluffy Tissue Paper Chicks were always a favorite of mine to make when I was a kid, so of course I want to do it with my own children. ThatArtistWoman.org will show you the DIY steps to make sure yours turn out perfectly. 6. Stamping is a favorite of my kids. 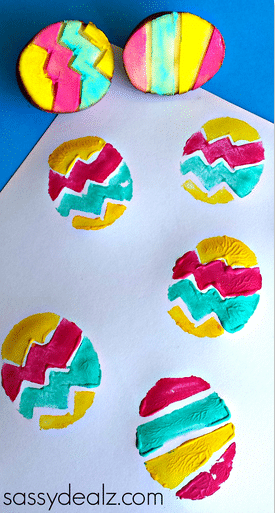 They love doing anything that has to do with stamping and I think it’s going to knock their socks off when I cut up a potato for them to stamp some Easter Eggs with! CraftyMorning.com is at it again and potato stamping will be a hit in your home as soon as you show your kids the ropes. 7. Awe! These hatching chicks created with puffy paint are about as cute as can be! And puffy paint? That’s just an added bonus. Head over to CraftyMorning.com to see all of the materials you’ll need to put this one together. 8. This sweet bunny mask above will be perfect for some Easter fun. But guess what? 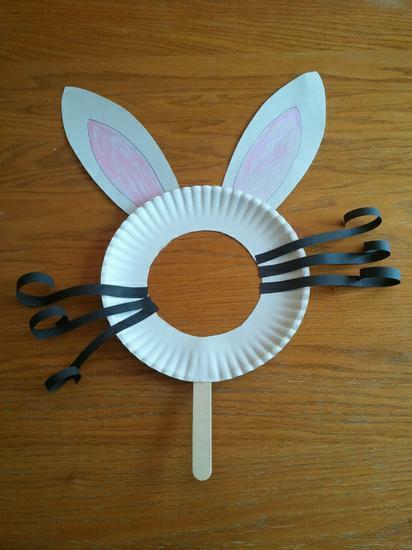 MPMSchoolSupplies.com has even more mask ideas to make for Easter. I can already see the kids running around the house playing with their sweet Easter masks! 9. Sun catchers are always a favorite to make, as well as to display once they’re all finished. 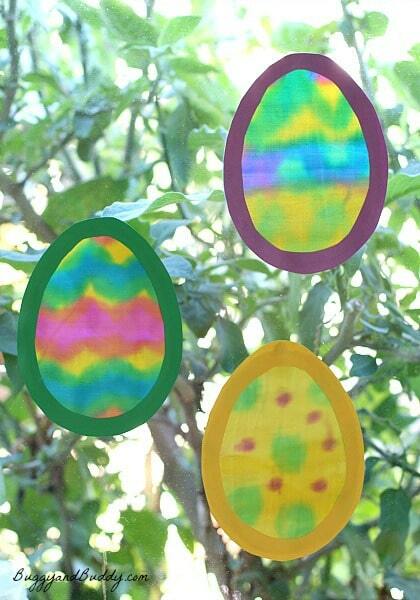 Can you believe these Egg Suncatchers are actually made with painted fabric? 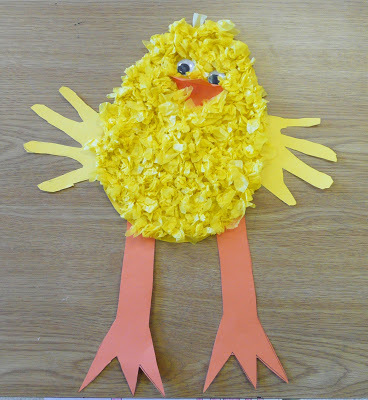 Find out all of the details over at BuggyAndBuddy.com and get busy with your little ray of sunshine on this Easter craft! 10. Ahhh! Fingerprint Sheep! CraftyMorning.com will show you all of the ins and outs on how to prepare your fingerprint sheep, but do you know what I love about this one? If you don’t feel like hauling out the paint and getting the kids all messy with paint, you can do this same concept with cotton balls! It’s like a two-for-one craft idea! 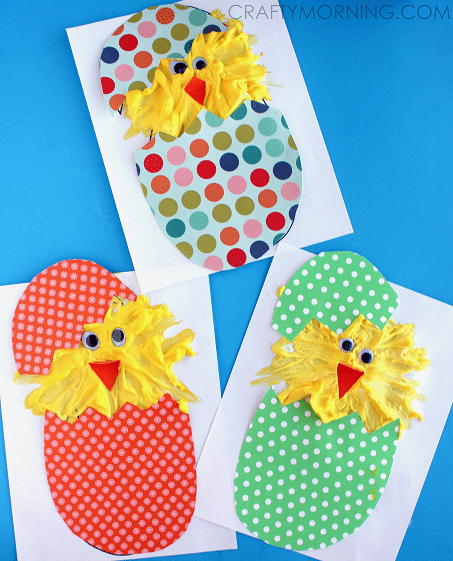 Now that you have some Easter crafts for the little ones you’re ready to get started! 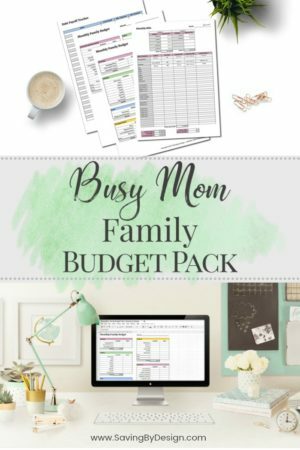 Invite some of their friends over for a pre-Easter craft event, or just spend a little time with the kids making some precious Easter memories. Whatever you decide, the kids are going to love it because who doesn’t love creating fun things?! « Deliciously Simple Chocolate Croissants – Only 3 Ingredients!